Look out honey, ’cause I’m using technology! Ain’t got time to make no apology . . . . I admit it: when I’m in-game, I am a baaaad archaeologist. 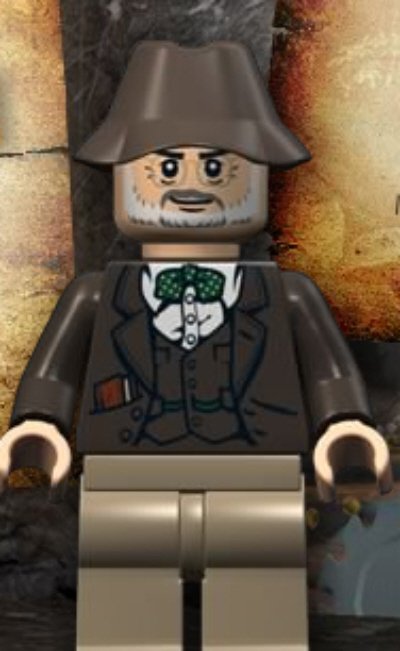 Indiana Jones bad (especially when I’m playing him as my Lego alter ego). I don’t take notes. I don’t measure. I don’t photograph. I don’t document. Truth be told, I’m just into archaeology for the loot. Dig in, dig out. Loot whatever’s there, and leave a hole that in many games just fills itself in after a few minutes like nothing ever happened. But I know what I did. I took that piece of Dwemer machinery. I took that Night Elf artifact. I set those ancient wheels in motion in order to get to that end-goal, finish that quest, get that experience. And whatever artifact I can’t use, I . . . wait for it . . . I sell it at the auction house. I might as well be on Kalmidor Digger. As Iggy says in the quote above, I’m using technology, and I’m using it to search and destroy, which is kind of what proper archaeologists do, but at least they keep good notes. “You call this archaeology?” Henry Jones, Sr. asks his son. People make such a fuss about first-person shooters turning kids into real-world armed psychopaths. My worry? 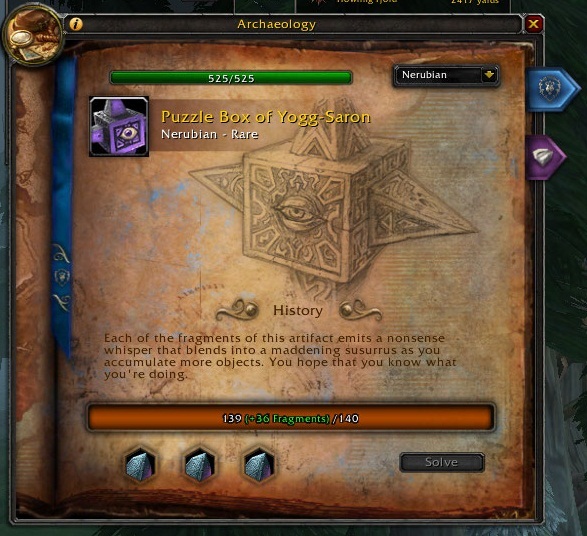 That treating in-game artifacts as loot helps desensitize gamers to real-world finds. I’m half-kidding here. We are taught to collect and/or sell out of self-interest, or to add to the guild bank. This isn’t excavation out of enlightened self-interest either. It’s just plain greed. And just like tooling up and spawn-camping with a rocket launcher in Medal of Honor (or whatever the kids are playing these days, Call of Booty or some such), it is extremely satisfying to be rewarded for a job well done in a game like Skyrim with a Daedric artifact. 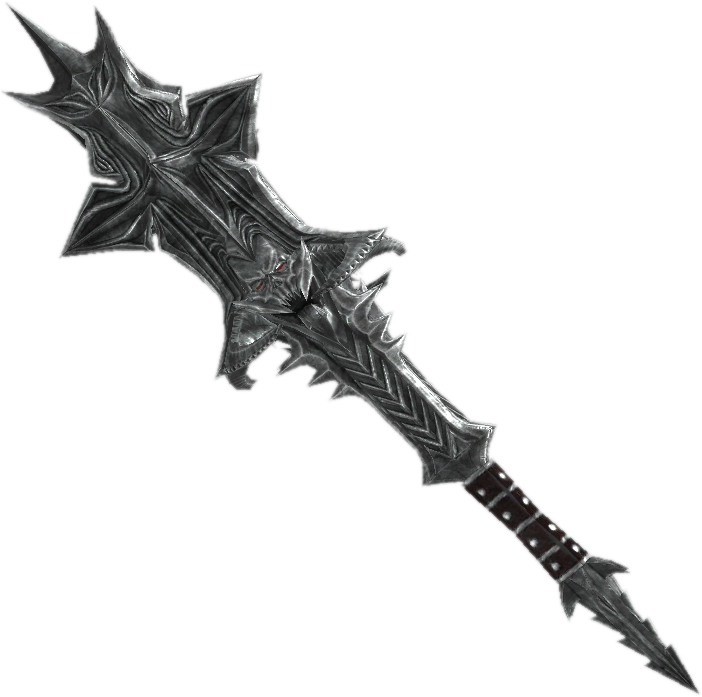 Really, who doesn’t want the Mace of Molag Bal that not only drains stamina AND magicka, but also steals the SOUL of the enemy you’re fighting (if you kill it fast enough). Given the choice, would you equip it (or give it to your housecarl to carry (I’m looking at you, Lydia)), drop it on the ground, or stash it in one of your houses in Tamriel? Those are your choices. There’s no museum you can go to if you suddenly find yourself with a conscience and realize that you have just found a sacred relic of incredible power that also bears huge spiritual meaning for the race or family to which it once belonged. There’s no place to turn it in for an equally awesome, not-looted weapon, piece of armor (or cloth), buff, or what-have-you. Finders-keepers. Or drop it, and watch it fade away. “Chill the eff out,” you say. “It’s a game. It’s not real. Looting doesn’t matter.” All kidding aside, you’re probably right. There are no ethics in the archaeology of the gaming world. But what if there were? You heard me. What if there were ethics in the archaeology of the game you are playing? What if you aggro’d a mob of creatures you have positive rep with because they detected you trying to pry loose a sacred gemstone in their hometown? That might make you think twice about trying it (unless you’re a rogue, at which point you’re beyond morals anyway). What if by looting, you lose rep with factions? What if you’re no longer able to enter towns safely? What if you are forced to pay higher prices for things in the marketplace? Or in the severest cases, what if you were banned from the auction houses, all because you stole an artifact, and it’s too hot to do anything with, or nobody wants that stain on them should they buy it from you? So much thought is put into aggro mechanics, in-game reputation with factions, that I don’t think it would be too difficult to build in this kind of quid pro quo for bad archaeology in-world. People might stop digging all together. They might choose not to level up that skill. Many players would probably attempt to sneak in and steal these objects, behavior that amoral realms like those in the Elder Scrolls series or in World of Warcraft support, just as they support leaving things alone. It’s up to the player to decide. But there should be consequences. And not all of those consequences should be bad for the player. What if you recovered a stolen artifact and returned it to the race or village from whom/where it was stolen? 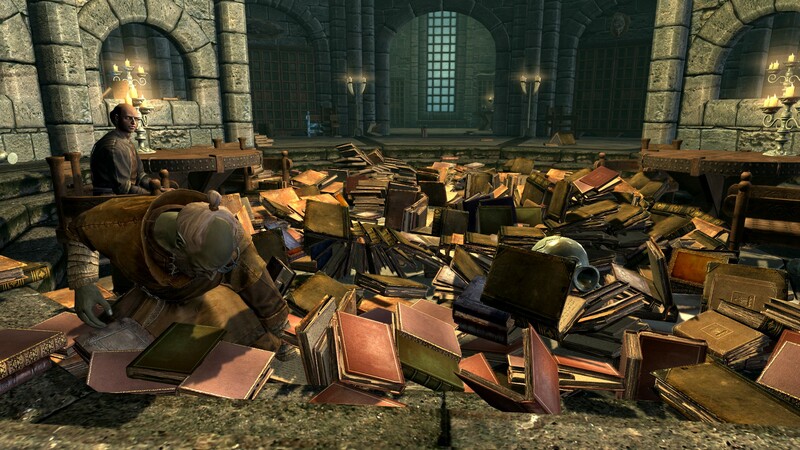 What if you found something of great importance to the lore of the world and turned it in to a museum curator (much like the find-and-return-lost-books-to-the-library repeatable quests at the College of Winterhold in Skyrim)? What if you did this for things you found that were totally unrelated to quests in your log? Would you do it? What would the rewards be? Skill points maybe. Improved rep perhaps. An unlocked quest chain if you’re lucky. In a game, especially one within a massive environment, players are always trapped in an endless cycle of rewards (or punishments). It’s pretty black-and-white. This applies to archaeology in these games, too. Using archaeology in a game to solve a puzzle leads to a prize. Or poisoning or something. You’ve got to be careful in there. But how many players will “do archaeology” in a game just because? Who in his/her right mind will drop US$60 on a game just to catalogue ruins, collect books, and look for artifacts to draw (or take screengrabs of) and record? I would argue that whenever archaeology is explicitly included in a game, it is there to 1) give players loot (or the ability to trade in for something else), and 2) to advance the story. To game developers and players, this model is nigh well universal. Archaeology = treasure or knowledge to finish something. Full stop. I would argue, too, though, that players can opt to ignore both of those predefined archaeological outcomes, and instead explore and document worlds and their lore just because. Just because it’s fun. It’s certainly interesting. And not only we as players are exploring whatever happened to a vanished race, but we are paying attention to how the game architects approached that culture, lore, and material remains. In a way, we’re asking questions of the gods of the game, those on the outside looking in, and we ask those universal “why” questions and, more often than not, receive no answers. The next time you play an MMO you love (or when you play Elder Scrolls Online for the first time), stop treating archaeology as something that has an objective, and instead take a fresh look at those ruins and think about why they’re there, who put them there, for what purpose, and what informed their design. Are they ruined just to be ruined, or did a great dragon arise from below the surface to fracture the world. And if you can derive no reasons from your observations, question the invisible makers then, and wonder what kind of gods would build an imperfect world. Shake your HD fist, and begin to doubt that in some games, there is no such thing as intelligent design. I’ll leave you with one last thought, something that will likely manifest itself into another post: online wargames and how real-time physics can destroy buildings. 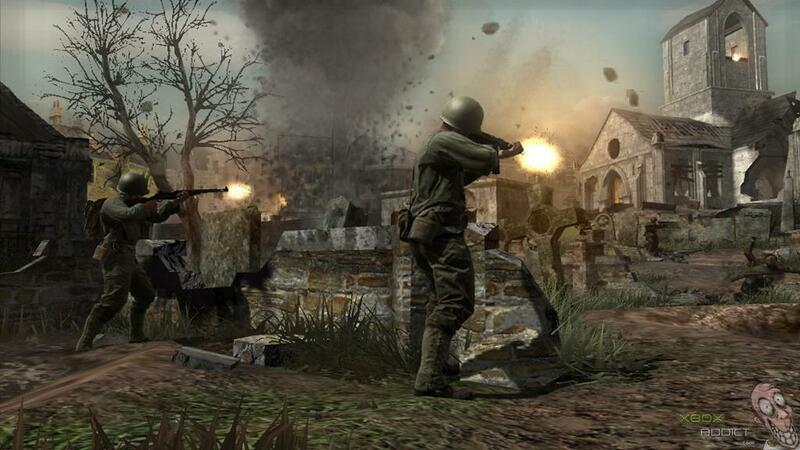 Imagine what would happen if the next Call of Duty title faces your squad off against Taliban fighters where a museum or UNESCO World Heritage Site is in the line of fire. Do you protect it? Does it become collateral damage? And what are the repercussions in the game if this is part of the story, or do you earn an achievement by preserving a cultural heritage site, monument, or museum? Who? (kidding!) Believe it or not, I have only played the original Tomb Raider, giving up because I hate jumping puzzles and disliked the shifting camera. If you want, feel free to comment here about how Lara and Nathan embody the archaeology archetype in games. Wasn’t there a museum in the Morrowind add-on Tribunal to which the player could donate certain artifacts? If I remember correctly, you were given insane amount of money in return.